Building energy simulation is the science of estimating the energy interactions within a building using simulation software. These interactions include the direct purchase of energy, such as electricity for lighting or natural gas for heating, and the exchange of energy due to such things as the infiltration of air into a building or the heat generated by a building’s occupants. The simulation attempts to account for these factors, plus many more, to determine the heating, cooling and ventilation loads within a building, the equipment types and sizes needed to meet these loads and the cost to operate this and other non-heating, ventilating and air conditioning (HVAC) equipment. Building energy simulation aids in building and building system design by determining compliance with building energy codes and for the economic optimization of building components. It can be used on buildings of any size, from one-zone residential homes to multi-zone large commercial buildings, or any occupancy such as schools, offices, hospitals and supermarkets. Different methods of building energy simulation analysis vary in complexity, but all have three elements in common: the calculation of space heating and cooling loads (building thermal characteristics and internal loads), the load on secondary equipment and the energy requirements of primary equipment. Secondary equipment distributes the heating, cooling or ventilating medium to the conditioned space, while primary equipment converts fuel or electricity to the heating or cooling effect. Generally, as an energy simulation becomes more complex, it becomes more accurate. However, the improved accuracy usually comes with increased effort and time to perform a simulation. A vapor profile and building assembly analysis are used to design the building shell by determining the ability of the materials used to reduce vapor transmission through the assembly. Moisture intrusion plays a large role in occupant comfort and building durability, so incorrect application of these processes is not an option. We provide cost-effective options to reduce moisture issues in your buildings. Let Bluegill Energy’s trained and certified professionals make improving your building’s energy efficiency or durability easier for you. 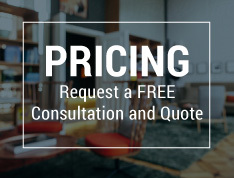 Contact us to request your free consultation and pricing.